William O’hara (sometimes spelled O’hare) (1866?-1943) was a local businessman who is best noted as a founding partner in the long-time local department store AW Lucas Company in 1899. 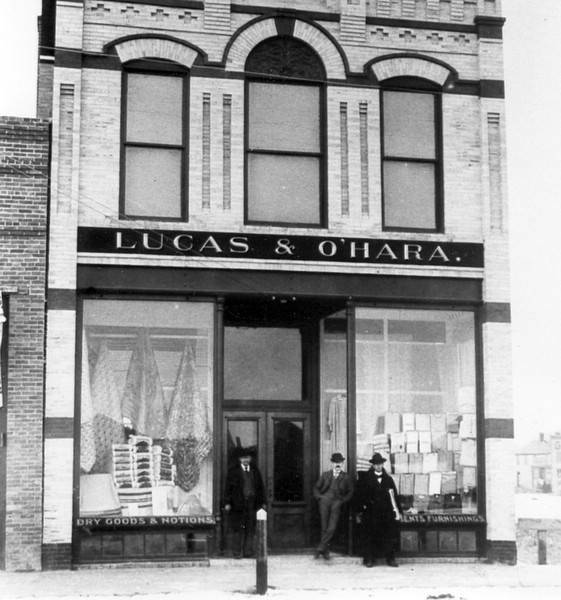 Shortly after the partnership with Lucas was dissolved in 1902, O’hara established a grocery store on Main Avenue, directly across from the Northern Pacific Depot. Later, O’hara became employed at the Patterson Hotel as a clerk. O’hara also served as the exalted ruler of the local Elks and as secretary of the city’s commercial club. In addition, O’hara was a prominent member of the local Masonic lodge. After retiring in 1930, O’hara moved to California to reside with family. After a 6-week illness, O’hara died in Chicago in 1943.